Your horse’s health is directly related to its care and more importantly, its diet. Establishing a solid diet for your horse is just as important as if you were trying to figure out a diet for you and your family! You want to make sure you cover all nutrition bases for your horse when you determine a diet. Leafiness: Leaves are a great source of protein so you will want to select hay that has fewer stems and larger seedheads. Texture: The hay you select should be softer and more pliable. It should also be lightweight and springy, if it falls, there should be a bounce to it. Purity: The hay you choose should be free of pollutants or foreign materials. For example, there should not be sticks, dead insects, or animals. If you want more information, you can send a sample of the hay to be analyzed. You can do this through a private company or research places such as state universities that offer agricultural studies. They can utilize their lab services to test forage nutrient values. 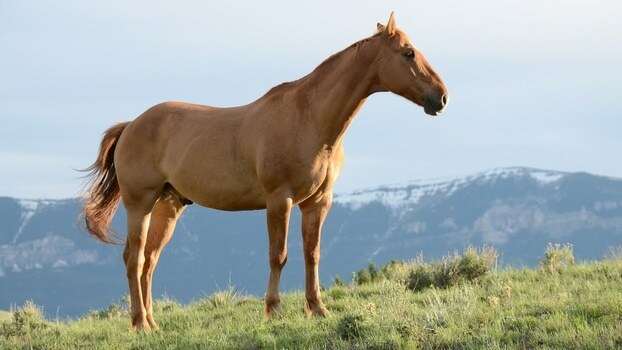 For more information on horses and other livestock, please refer to our blog often! If you are interested in high quality horse insurance, give us a call today at (320)243-7250 or at (800)328-8894.